A vast, 8km-long sandy beach offers itself for an enjoyable swim with or without people around. On its northern part, there is the beach of Issos with its unique Mediterranean dunes, the cedar-tree forest and last but not least the Korission Lagoon. 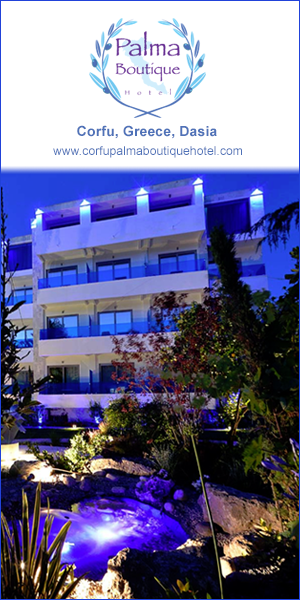 It is located 35km south of Corfu Town and the airport. Crystal clear waters and a massive beach offer children a safe place to play and enjoy the sea. The dunes, the cedar-tree forest and the lagoon, all are interesting walking destinations which only require a little effort, rewarded with a unique and spectacular view. Here you can air-glide, swim, scuba-dive and engage in all sorts of sea sports. Boat trips give you the opportunity to enjoy excursions to the rocky islets of Lagoudia. Biking, hiking or motorbike riding allow you to visit nearby historic villages such as Argyrades and Chlomos (the village that offered refuge to the last of the Paleologos, brother of the Emperor of Byzantium), as well as some of the most secluded and beautiful hamlets on Corfu.